Its that time of the year where the decisions run high!! 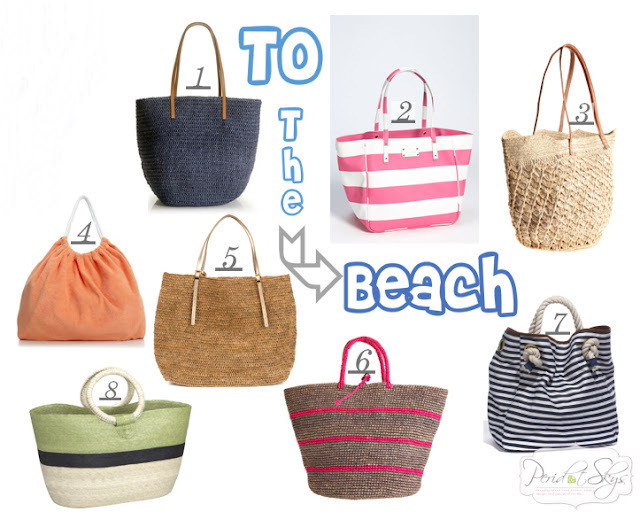 What you carry to the beach is almost as important as what you carry in it!! Staples for a day in the sand is a good bag, snacks, H2O, sunscreen, tunes, and your sunnies!! My favorite is 5, 6, and 7!! I love the beach!! My girlfriend Liz has been in Florida all week at the beach. I'm jealous. She will be sporting a golden tan next week! super fun! i love #2! have a great weekend! Thanks Sandy it makes me wish I lived closer to the beach!